After a very blustery night at South Llamo River Park, we awoke to clear skies and cool temperatures. 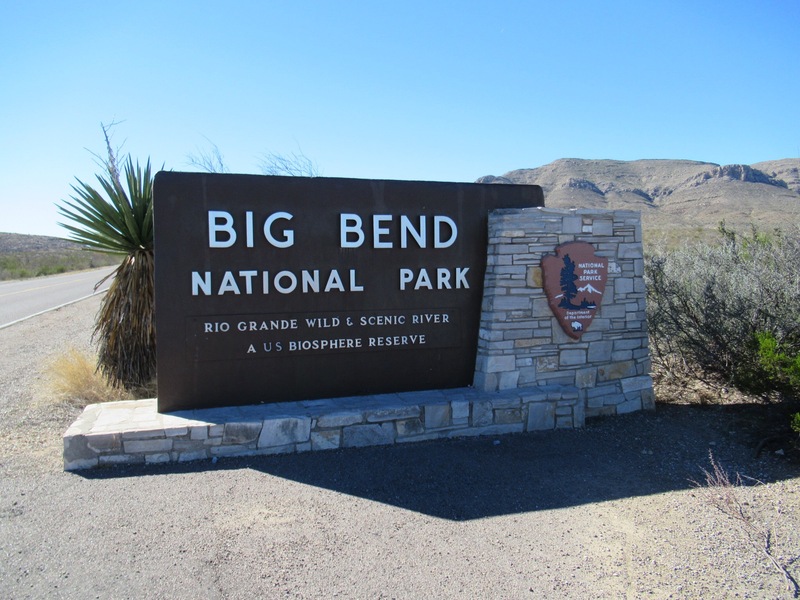 We packed up and headed west for our 4.5 hour drive to Big Bend National Park. We pulled into the Fossil Education area and had a picnic lunch before learning about the area. 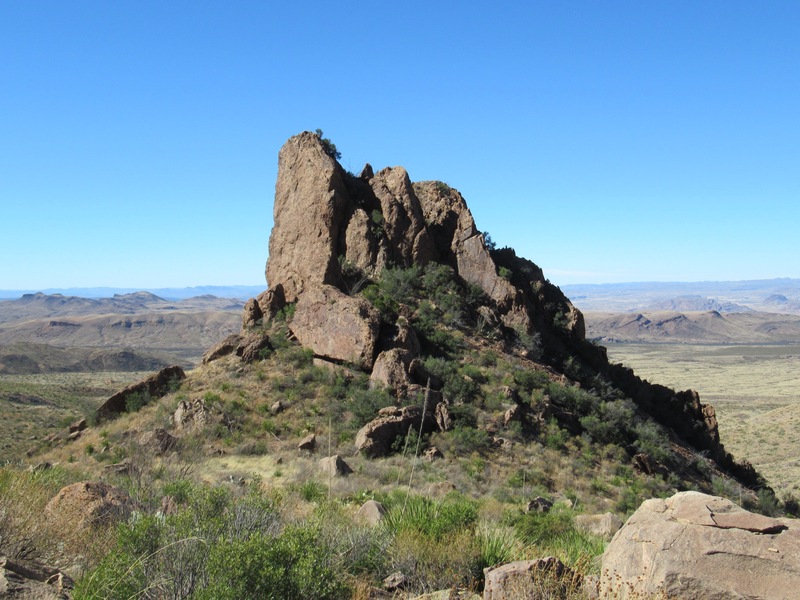 Big Bend used to be covered by shallow seas. When the Rockies started to form, the seas retreated and the area was a marshy coast with giant alligators and dinosaurs. After the dinosaur extinction, mammals dominated the area. As a result, a wealth of fossils from dinasour and mamalian bones to shark teeth and seashells can be found in the park. 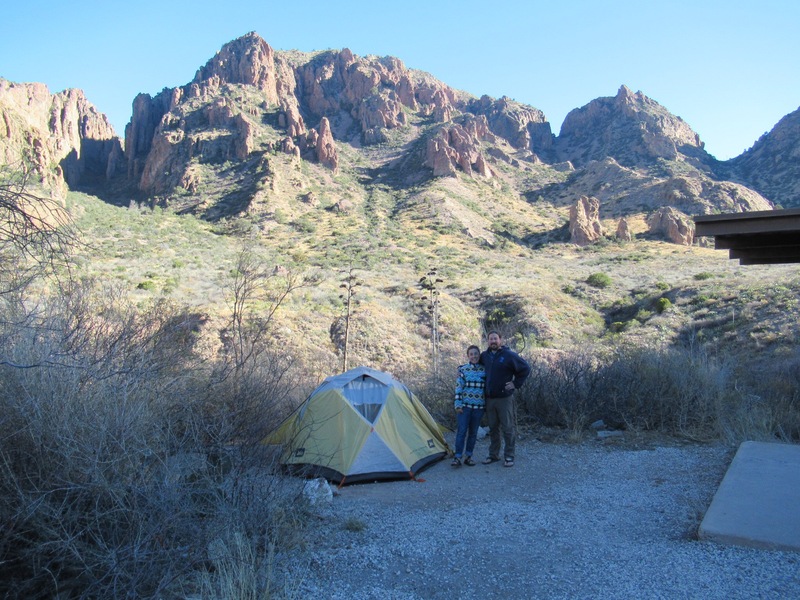 We cut west across the park, stopping at the Panther Pass visitors center to inquire about backcountry camping. There were some closures in the area we had hoped to camp, due to bear activity and a small brush fire, so we decided it best to car camp and day hike instead. 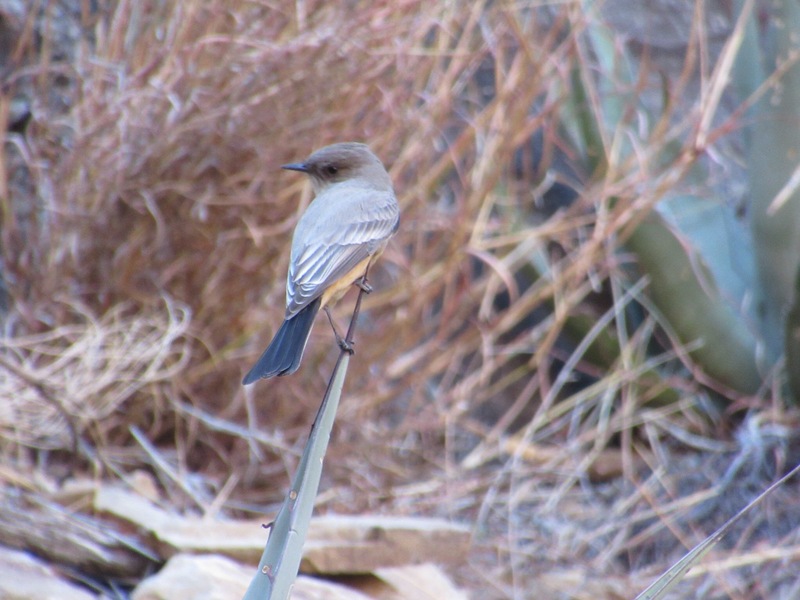 Once we established our plan for the next few days, we continued west out of he park to the small town of Terlingua. We wanted to stay there to watch the Steelers Patriots game. Our motel room wasn’t ready yet, and the manager suggested we drive to the nearby ghost town to try local brews at the bar there. A bar in a ghost town is a little oxy moronic, but sure enough there was a lot of activity in the town. People have again inhabited the town amongst the ruins, mostly on RVs and trailers. We had a beer, then headed back to watch the game. Unfortunately, the Steelers lost (depending on who side your on), and I wished we had skipped the game and stayed in the park. When we finally did get back to the park early the next day, we made the most of it. 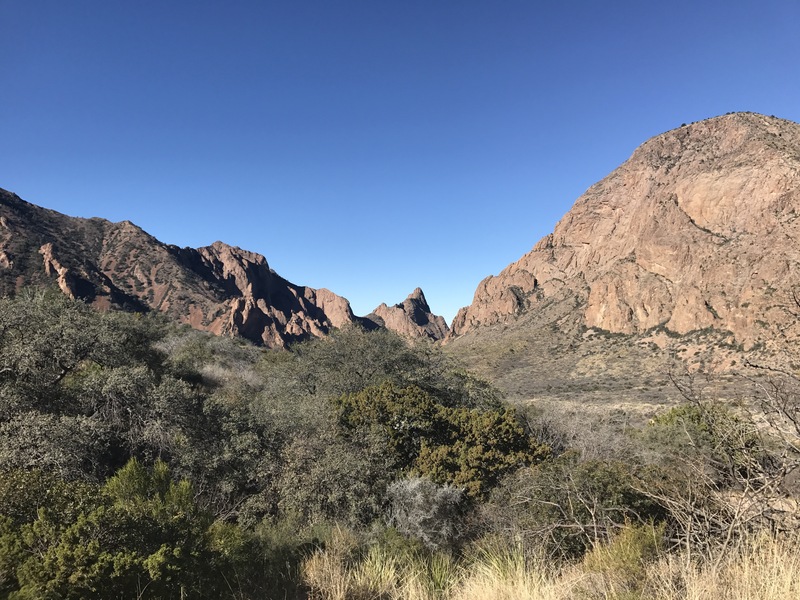 We found a great campsite in the area known as The Baisin, surrounded by the Chisos Mountains. We packed lunch in our day backs, and headed out to see The Window, a dramatic gap in the mountains which frames the dessert beyond. From there we continued up and then down the Oak Springs trail to Oak Springs. We had heard about Cattail Falls from a local, a waterfall which is off most maps and is supposed to be a hidden gem. Unlike Blue Springs in Conecuh National Forest, we found it on the first try and it lived up to our expectations. A small oasis of Live Oaks & green undergrowth popped-up out of the desert of agave and beavertail cactus, fed by the 50 foot Cattail Falls. 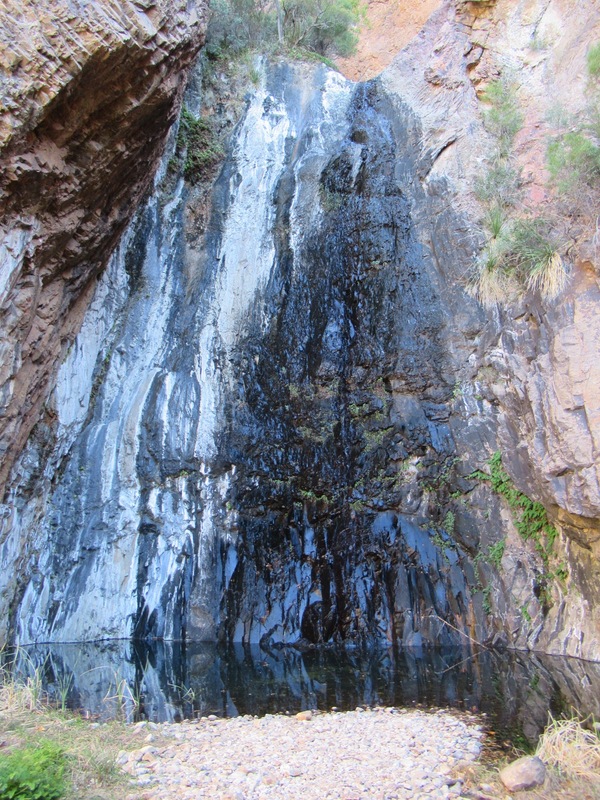 The falls themselves were a trickle, but clear pools glittered in the afternoon sun. We had a snack, then turned back the way we came to hike the 4.5 miles back to the campground. 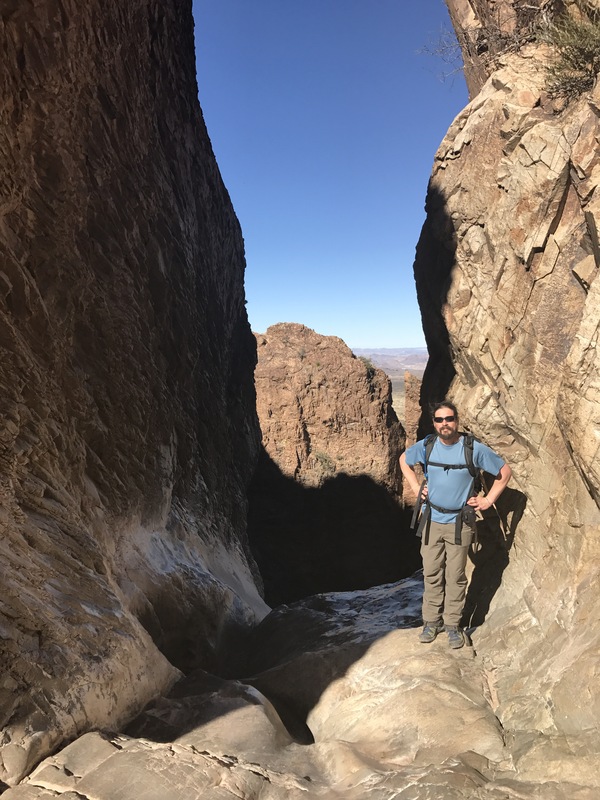 We generally prefer to hike loop as to not repeat terrain, but we loved the surroundings on the way to the falls so much we welcomed seeing it all again. We had some time to relax at our site before dinner, and take in our view of Casa Grande. Crossing west across a time zone by car is a bit strange, as each day the sunrise and sunset get later and later. When we entered the central time zone in Alabama a few days ago it was dark by 5:15pm. 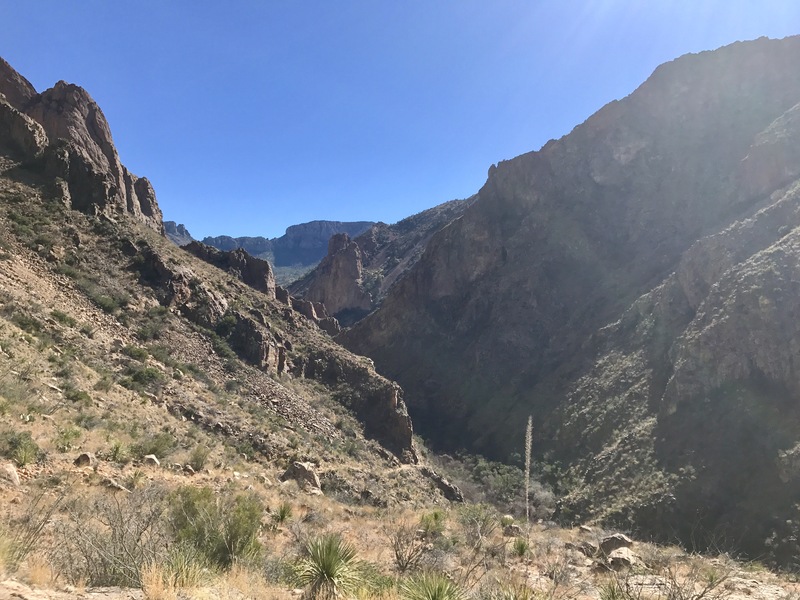 A few days later here in Big Bend, we made it until 7:15pm before it grew dark. Once night fell, we gasped at how many stars we could see. 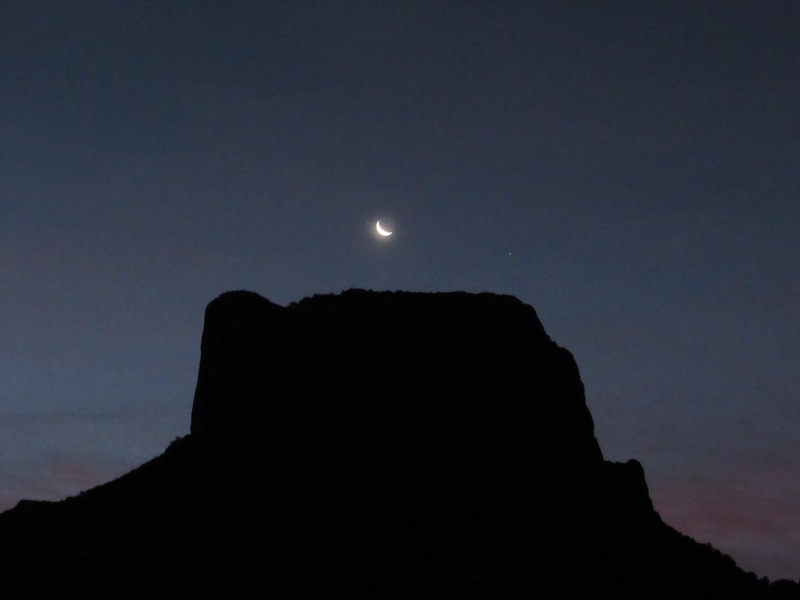 Big Bend has some of the darkest night skies in the lower 48, allowing us to see the milky way- always a treat! WHY ARE THE FALLS CALLED “CATTAIL”? THIS IS ALL SUCH AMAZING AND FASCINATING INFORMATION. HUB AND I AND THE KIDS CRAWLED AROUND IN THE DESERT BEHIND OUR COMPOUND AND PICKED UP MANY SHARK’S TEETH! THE DESERT HAD BEEN UNDER WATER MILLIONS OF YEARS BEFORE. I’m not sure why they are called that, there were know cattails around & since they were flowing slow they didn’t have much shape. We don’t really have a “final” destination; but we’re in California now, and will start heading back east in a few days.